C. Gale Perkins was born in Boston. She spent twelve years in Lakeville State Sanatorium in Massachusetts from age three to fifteen. She is proud of being a tuberculosis survivor and a person with a strong faith. Gale believes that the experiences she had as a child have made her the person she is today. She is warm, loving, compassionate, and has a great sense of humor. She loves people and looks for the good in everyone. Gale believes in the saying, "When life gives you lemons, make lemonade." She has three children and several grandchildren. 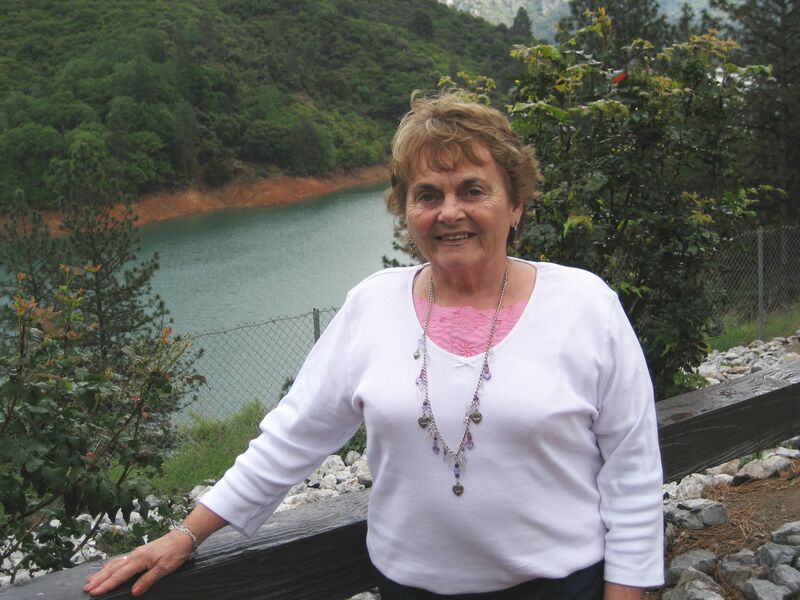 She worked as director of occupational therapy in a private hospital for twenty-six years. She loves people and flowers. Gale is proud of the article she had published in the O.T. Advanced magazine in which she was a contest winner. She also had an article published in the World Clown magazine, Clowning Around. She has performed as a professional clown for several years, and loves it. Gale feels very thankful for what life has given her and she looks forward to many new adventures. She lives in Groveland, Massachusetts in the summer and Tarpon Springs, Florida in the winter. She says she has the best of two worlds. Her late husband encouraged her to write her life story, she says, "I have kept my promise to him." Her big brown eyes twinkle roguishly. Oh dear, why did I think of that? The sorrows of childhood should be so few. How joyously she laughs, how sweet she sings. She whispers, earnestly, “some day I will run and run, So far that nobody can catch me again". 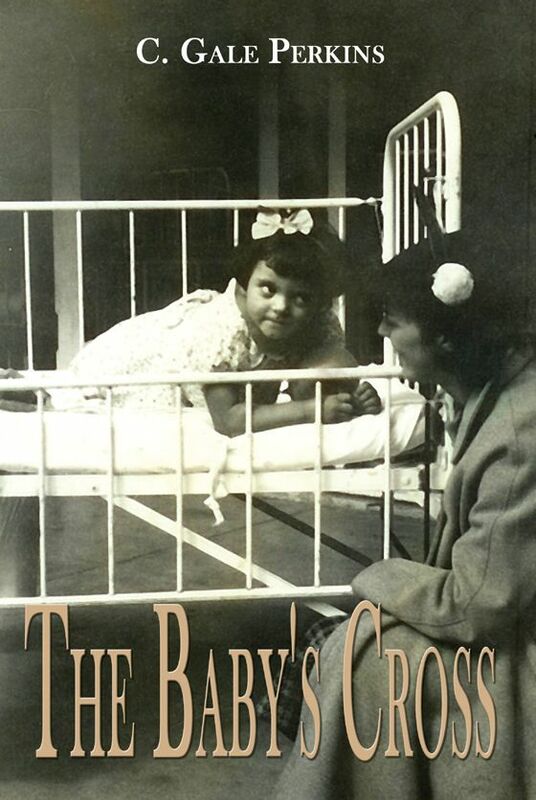 The Baby’s Cross is a memoir about a tuberculosis survivor named Gale, a young girl who fought many obstacles in her life. She was born prematurely and with the help of a neighbor, she survived. At age two, a fall down the stairs was to take her life in a direction that seemed almost impossible to endure at the time. The losses in her life were many, including her mother, many other family members, and the loss of a normal childhood. C. Gale Perkins was hospitalized for twelve years at the Lakeville State Sanatorium in Lakeville, Massachusetts with tuberculosis of the bone, which she contracted at the age of three. Gale tells about her experiences while in the hospital during her twelve years at the sanatorium, including when she was paralyzed from the waist down for two of these years due to an operation that went badly. Gale feels that the experiences she had were ones that shaped her life into one of determination, compassion, faith, love and accomplishments. The story includes many miracles that she has experienced in her lifetime, miracles that have reinforced her spiritual beliefs. The real story behind Gale’s fall down the stairs became clear to her while she was driving along the highway. This is a true story of a young girl’s struggle to stay alive, and it will touch the readers’ hearts. 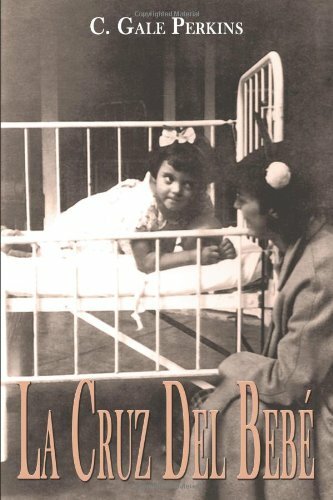 La Cruz Del Bebé es una memoria sobre un sobreviviente de la tuberculosis llamada Gale, una joven que luchó contra muchos obstáculos en su vida. Ella nació prematuramente y con la ayuda de un vecino, ella sobrevivió. A los dos años, sufrio una caída por las escaleras que fue a tomar su vida en una dirección que parecía casi imposible de soportar en el momento. Las pérdidas en su vida eran muchos, incluyendo a su madre, muchos miembros de la familia, y la pérdida de una infancia normal. C. Gale Perkins fue hospitalizada durante doce años en el Sanatorio Estado Lakeville en Lakeville, Massachusetts con la tuberculosis del hueso, que contrajo a la edad de tres años. Gale habla de sus experiencias, mientras que en el hospital durante sus doce años en el sanatorio, incluso cuando ella estaba paralizada de la cintura para abajo por dos de estos años debido a una operación que salió mal. Gale considera que las experiencias que tuvo fueron los que dieron forma a su vida en una de la determinación, la compasión, la fe, el amor y sus logros. La historia incluye muchos milagros que ha experimentado en su vida, los milagros que han reforzado sus creencias espirituales. La verdadera historia detrás de la caída de Gale abajo de las escaleras se le hizo evidente mientras conducía por la carretera. Esta es una historia verdadera de la lucha de una mujer joven para seguir con vida, y tocará los corazones de los lectores. A Pumpkin for God was inspired by my Granddaughter Keri, who was trying to accept her Grandfathers death and did it in such a beautiful way that I felt it was a story that should be told. A legacy left by Marjorie Logan Willson to her two daughters Gale and Elaine; also to other loved ones. Marjorie knew she would not be around and yet the faith she presented in her poems is one of strength and love. At 24 years of age, she left this earth and left behind many poems to speak from her heart to the ones she loved so much. The book of poems given to C. Gale Perkins in 1993 by her sister Elaine and was set aside until Gale wrote her first book The Baby's Cross this is the title of one of the poems written to her. Before publishing this book I went back to the Lakeville State Sanitorium some 55 years after I left there. Below is a video slide show that C. Gale Perkins did to share the many photo's she has during the time she was a patient for 12 years at the Lakeville State Sanitorium when she was between age 3 and 15. C. Gale Perkins and a Hospital friend named Bernie. Bernie and Gale hadn't seen each other for 56 years and they reunite to talk about their time at The Lakeville State Hospital. Berney gave Gale her first kiss. WBET 1460 Welcome to Conversations Talk Radio.